NNEDI OKORAFOR, born to Igbo Nigerian parents in Cincinnati, Ohio on April 8, 1974, is an author of fantasy and science fiction for both adults and younger readers. 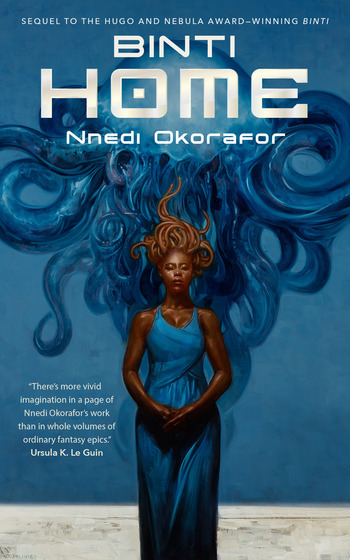 Her Tor.com novella Binti won the 2015 Hugo and Nebula Awards; her children's book Long Juju Man (Macmillan, 2009) won the 2007-08 Macmillan Writer's Prize for Africa; and her adult novel Who Fears Death (DAW, 2010) was a Tiptree Honor Book. She is an associate professor of creative writing and literature at the University at Buffalo.